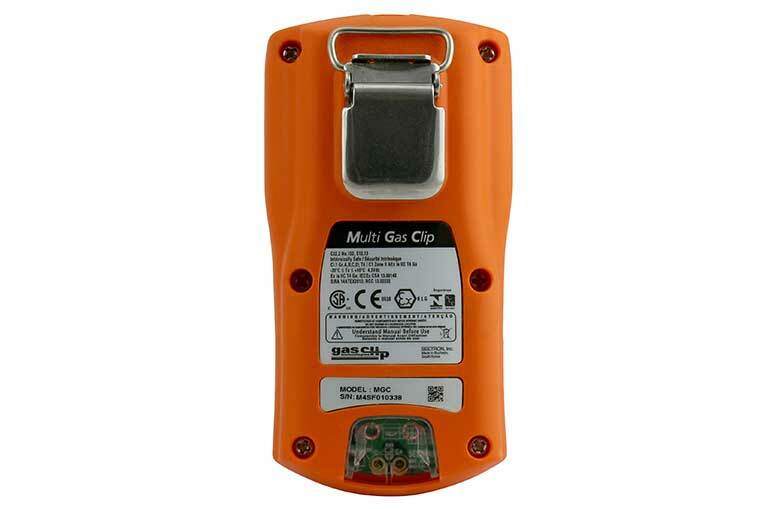 The Gas Clip MGC IR offers reliability on sensing flammable and toxic gases at an affordable price. The unit uses electrolyte cells for detecting H²S, O² and CO but has an infra red sensor for detecting flammables. This ends all of the problems of cell poisoning for this sensor (see the IR Comparison document). It has a much faster reaction time and will perform where other units either can't or require different pelistors fitted. So if you have a problem with pellistor life or need to look for Jet A1 or kerosene this unit will give you a correct alarm unlike so many other units. The low power required for running the IR cell also means it has a 60 day run time for the diffusion model. This unit is perfect for the aircraft and petro chemical industry as well as for tank cleansing where fuels may be the main target gas. The unit is also IP rated 6 for dust and 1-5 and 7 for water so it is waterproof to 1 metre for 30 minutes. All charging options are available from 12 to 240v. 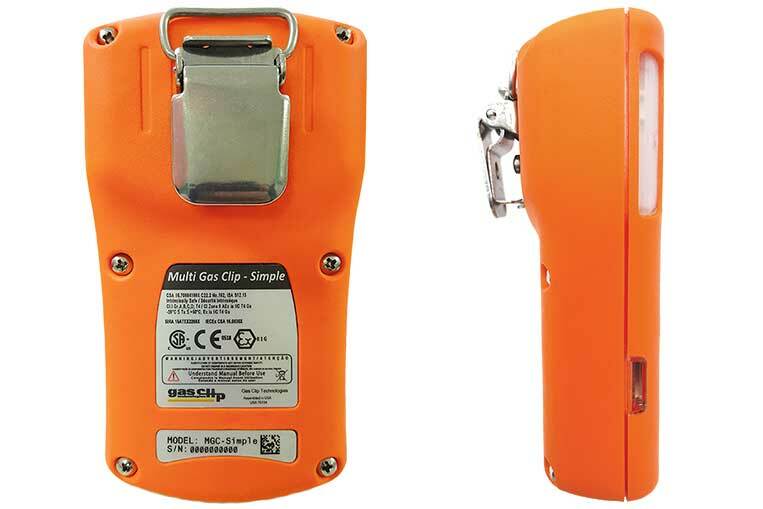 The Gas Clip MGC P IR offers a pumped unit that has reliability on sensing flammable and toxic gases at an affordable price. The unit uses electrolyte cells for detecting H2S, O2 and CO. But has an infra-red sensor for detecting flammables. This ends all of the problems of cell poisoning for this sensor (see the IR Comparison document). It has a much faster reaction time and will perform where other units either can't or require different pelistors fitted. So if you have a problem with pellistor life or need to look for Jet A1 or kerosene this unit will give you a correct alarm unlike so many other units. The low power required for running the IR cell also means it has a 40 hour run time meaning it will always deliver readings even if your working time runs on. The unit is also IP rated 6 for dust and 1-5 and 7 for water so it is waterproof to 1 metre for 30 minutes although water can of course be drawn into the unit through the sampling tube. All charging options are available from 12 to 240v although the units are supplied with a 240v charger unless you request a different charger. 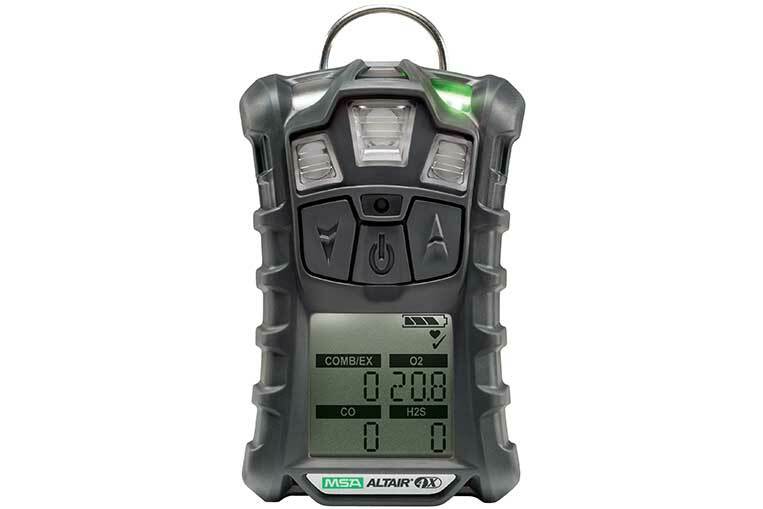 The Altair 4X offers a very cost effective gas detector without the need to compromise. 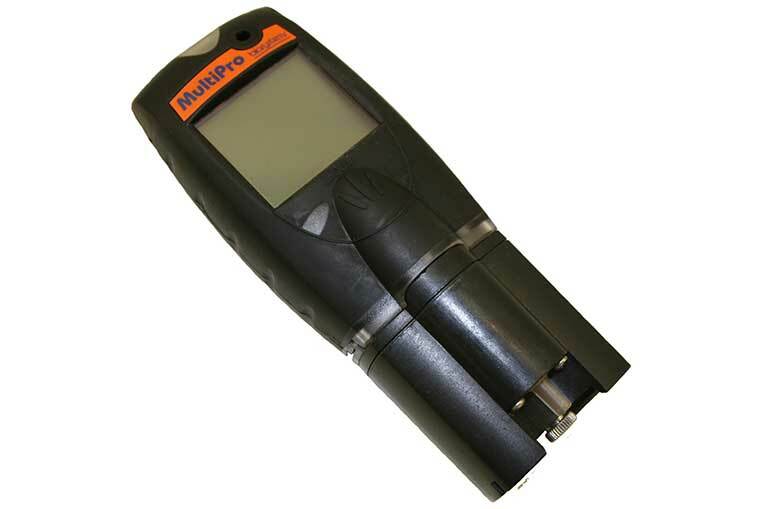 The unit offers monitoring of up to 4 gases, these being, flammable, oxygen, hydrogen sulphide and carbon monoxide. It’s small, tough, compact and waterproof. Add to this a man down alert option and it’s the right choice. All sensors have a 3 year warranty and the bright LED alarm lights, audible pitch and easy to read display make it an excellent choice for your team. With the purchase of an infra-red jet eye you can download your logs, datasheets and calibration reports. User training may be required to use the software - please contact us on 01404 43000 / 01404 44007 for further information. 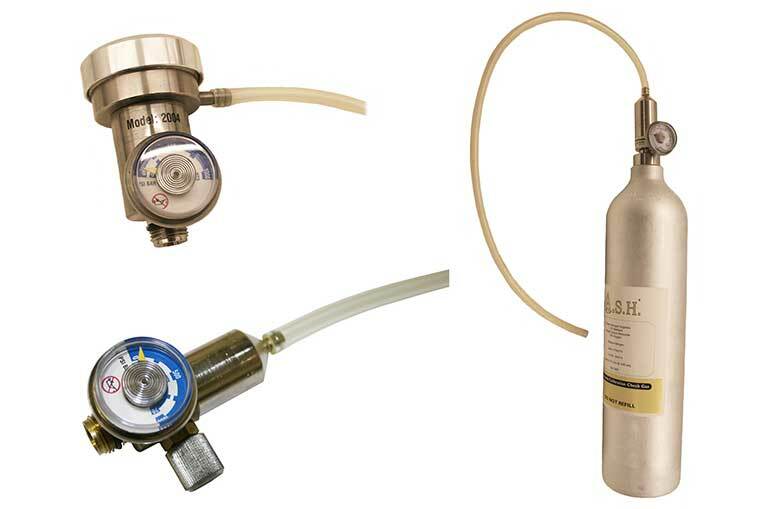 Other calibration gases are available please contact us on 01404 43000 / 01404 44007 for details. 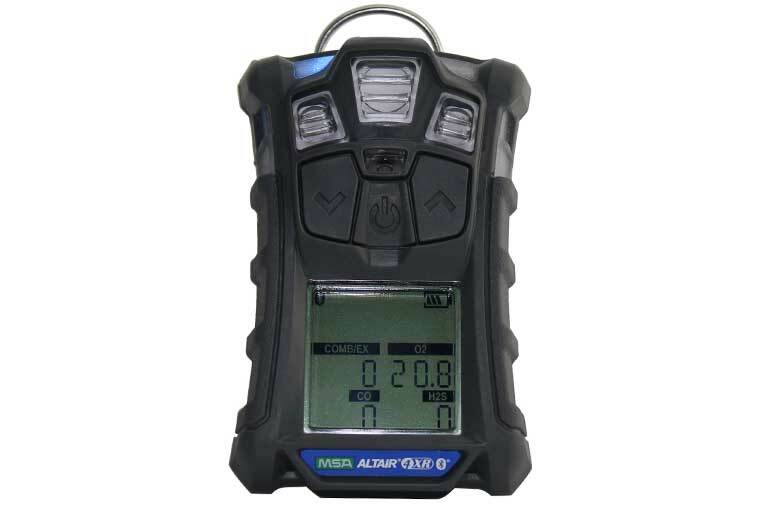 The Altair 4XR is a resilient and reliable monitor fitted with 4 XCell sensors, these being, flammable, oxygen, hydrogen sulphide and carbon monoxide which offer a typical life of more than 4 years. Tested to survive 25 drops from 4 feet (1.2m) and an incidental 25ft (7.5m) drop on to concrete. It has an IP rating 68, which means it can stand dust and water ingress at 2 meters for at least 1 hour. 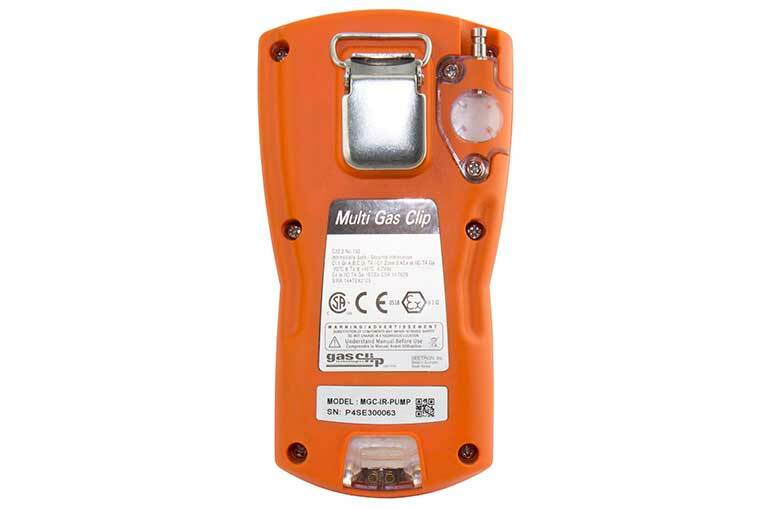 This multi gas detector is suitable for use in industries including fire service, contracting, industrial, mining, oil and gas and utilities. 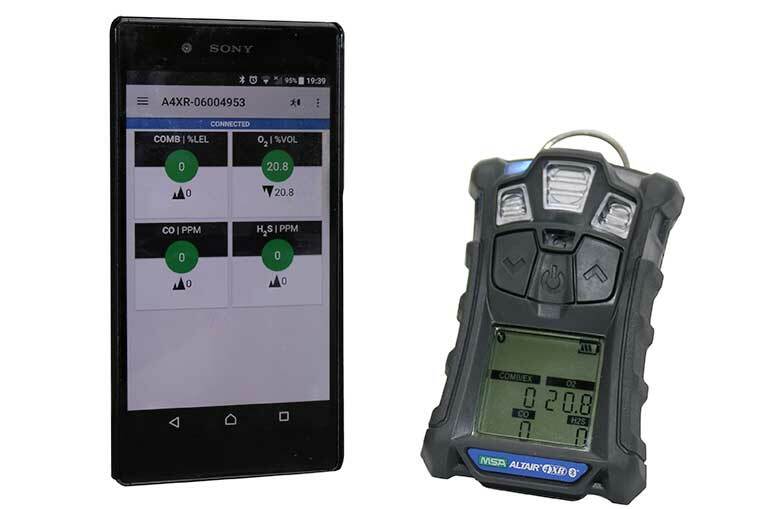 The compliance feature allows you to see at a glance whether or not your gas detector has been bump tested. 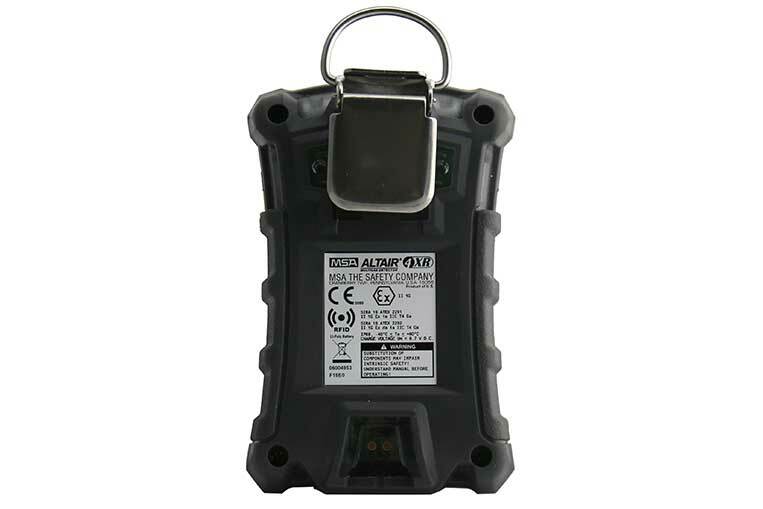 This easy to use one button detector runs continuously for 2 years after activation with no charging or calibration required although the unit can be callibrated if required. 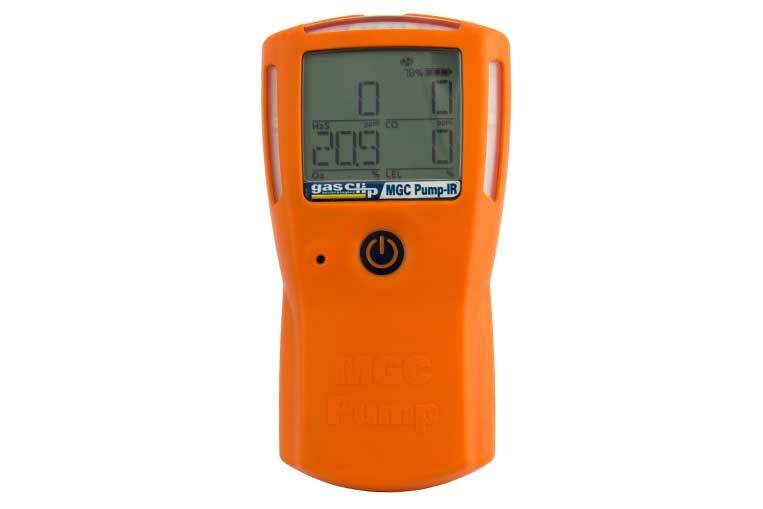 The MGC Simple completes a full function self-test upon activation and subsequent sensors, battery and circuitry tests run continuously. 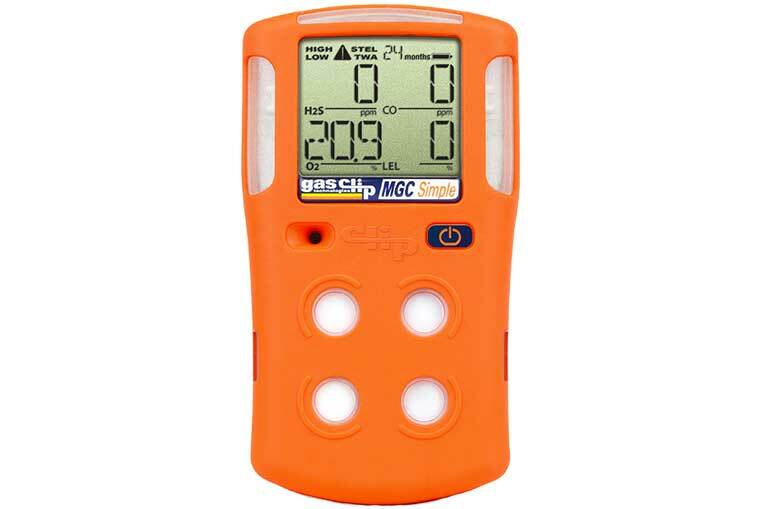 It is compatible with the MGC Simple Docks for calibration and bump testing. The MGC Simple works in oxygen enriched and oxygen deficient environments and the LEL sensor is immune to H²S & silicone poisoning. 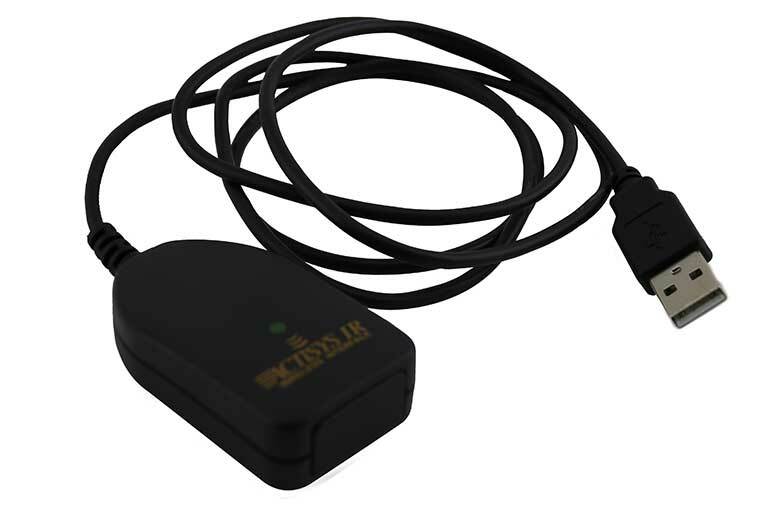 This easy to use one button detector runs continuously for 3 years after activation with no charging or calibration required although the unit can be callibrated if required. The MGC Simple completes a full function self-test upon activation and subsequent sensors, battery and circuitry tests run continuously. 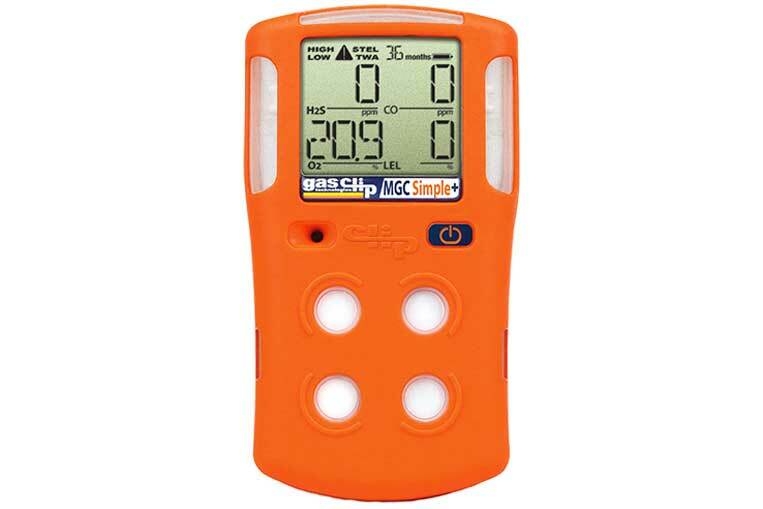 It is compatible with the MGC Simple Docks for calibration and bump testing. 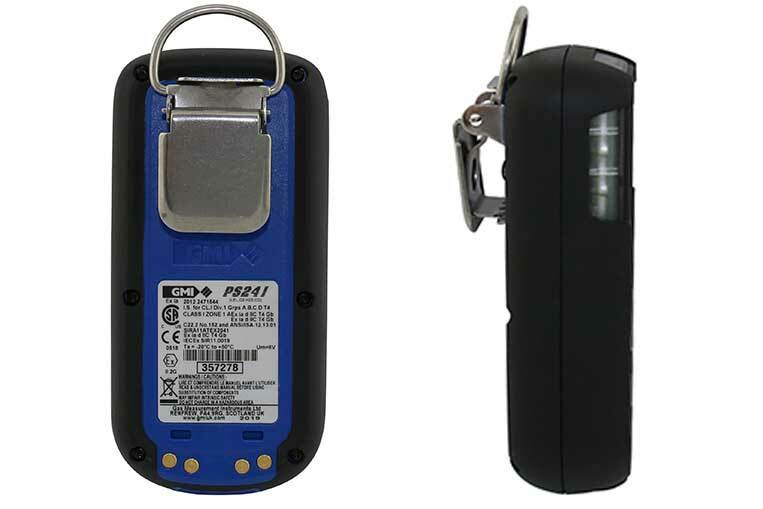 The PS200 is a small robust personal multi gas detector for standard sewerage use. The unit is available as either a pumped or, as is more common, natural diffusion monitor. 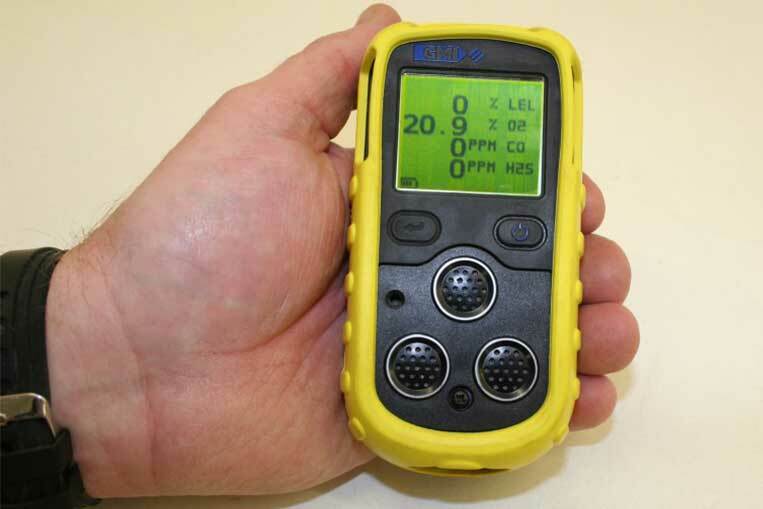 The unit uses 3 cells to monitor for the 4 standard confined space gases of H²S, CO, LEL and O². The unit is rated as IP 5 and 7 for water so will not be affected by heavy rain and can take submersion for 30 minutes in water up to 1 metre deep. If the unit takes a dunk it will of course not sense gas whilst the sensors are covered but will save a hefty repair cost as the water can be shaken off. A bump test though should be done within 24 hours to ensure that the sensor filters have not dried out with a non-porous coating from the waste contaminates. This unit also uses the latest USB charging methods so can be charged from any item that will connect, for instance vehicle lighter sockets. The MultiPro offers real time readings for up to 4 gases, true one-button operation (including calibration), and the option of a built-in event logger capable of storing information for 20 events including sensor type, max and average readings, time and duration. It's comes with a Li-ion battery pack and offers run times up to 22 hours. 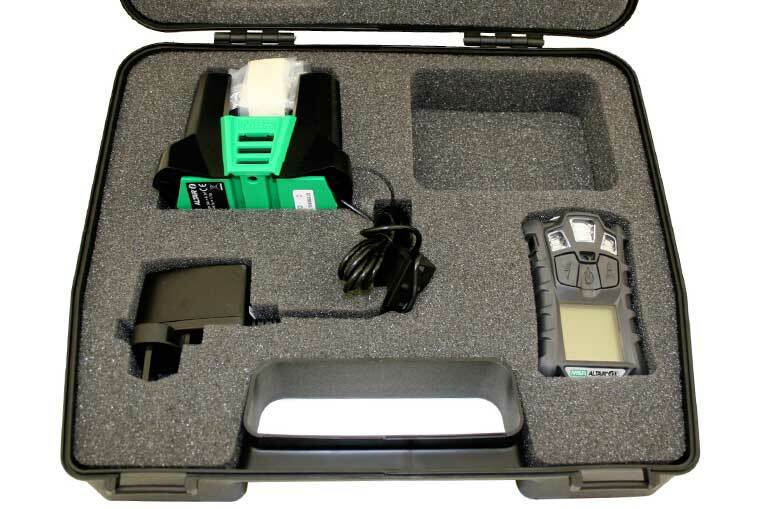 For remote sampling, motorized sample pump units are available. 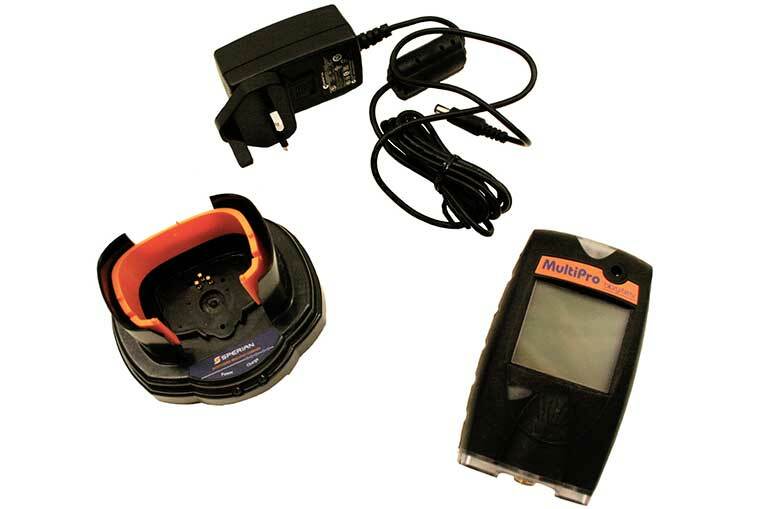 The MultiPro is the most versatile gas detector on sale if you want to self-calibrate and keep a fully auditable tracking system of work, bump testing and calibrations that have taken place. The unit will automatically self-calibrate and also produce a test certificate, this functionality can be shown to any operative, even one who has no previous experience in this field. The Calibration Dock will not allow a calibration if the unit fails, hence it runs a fully integrated fail safe system. 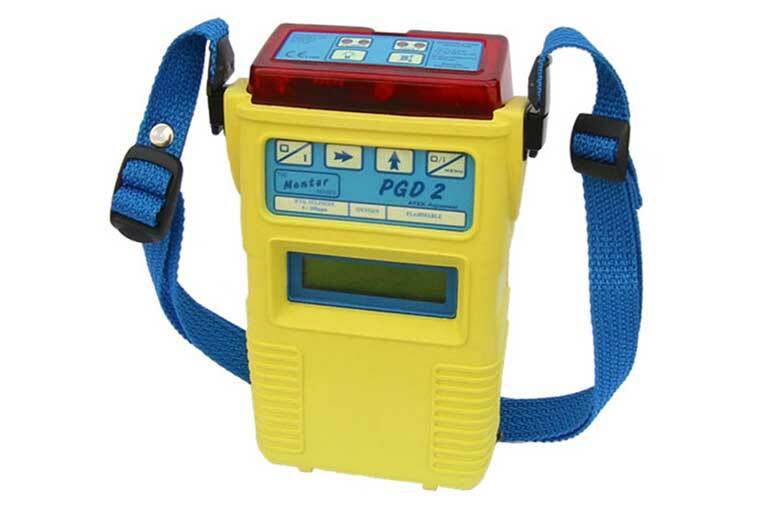 The PGD2 Mentor portable gas detector is an intrinsically-safe portable multi-gas instrument for use in Group IIC potentially explosive atmospheres. 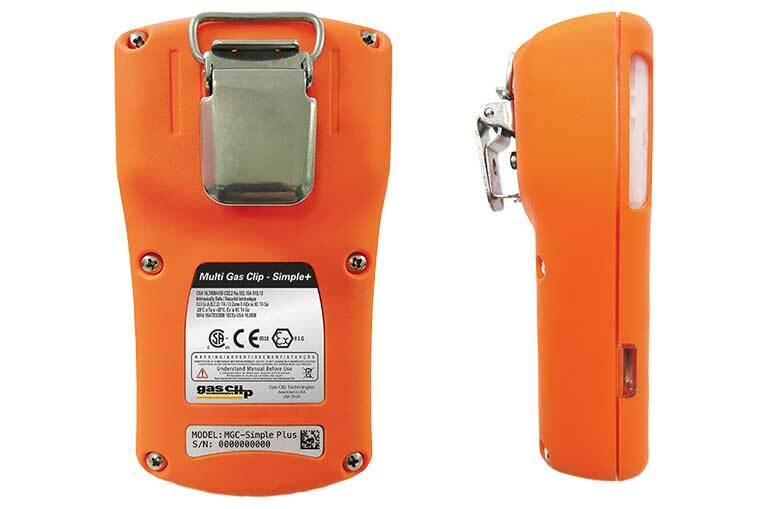 The instrument is intended to be used for the protection of personnel entering or working in an environment where a gas hazard may, or is known to exist. 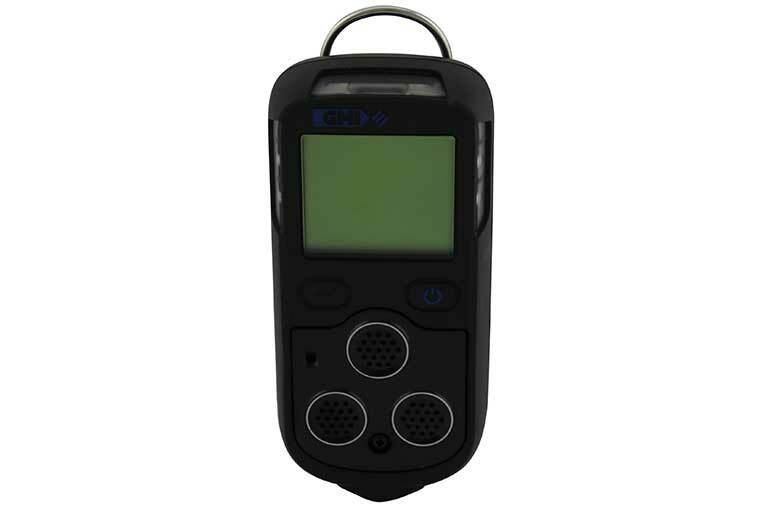 The instrument produces both audible and visual alarms if any of the monitored gas levels fall outside pre-set limits. 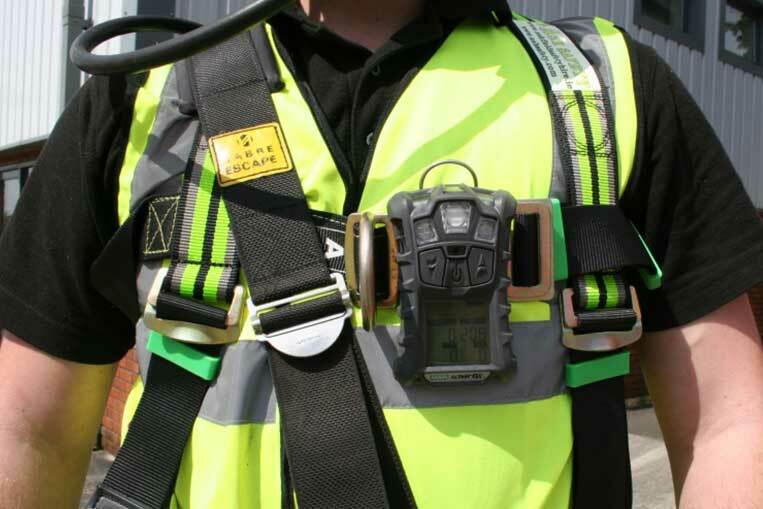 It can be fitted with up to 4 gas sensors in various combinations of flammable, toxic and oxygen to provide simultaneous monitoring of each gas. The data logging facilities available within the instrument allow the exposure levels for each gas to be stored for downloading to a personal computer at the end of the work period. 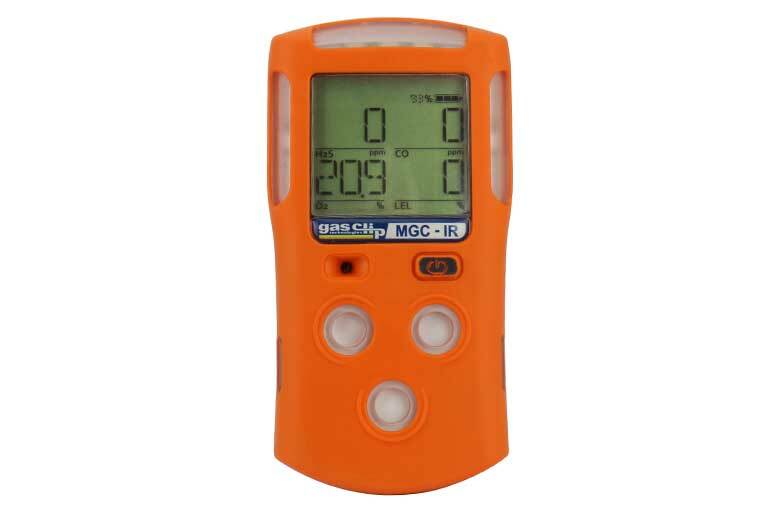 The instrument also automatically calculates the STEL and LTEL values for each gas as required by the COSHH regulations in the United Kingdom. Pumped versions are available at an additional cost.